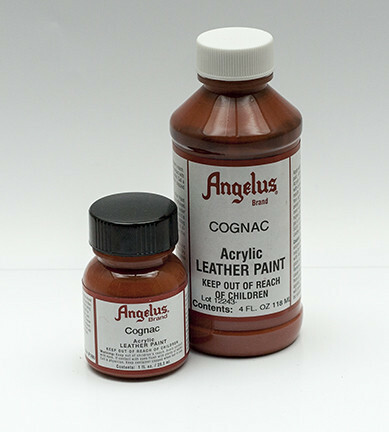 Angelus Leather Paints are great for all kinds of craft projects including gourd art and shoe painting. 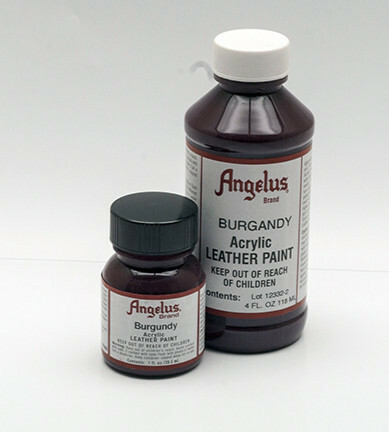 The paint is a flexible acrylic that adheres to many kinds of fabrics including leather, canvas, vinyl, and rubber. We carry more than a hundred vibrant, long-lasting colors including some new colors in neon and glitter called "Glitterlites". We also carry colors from a new Collector's Edition which are marked with a C.E. All colors come in 1 oz. bottles. 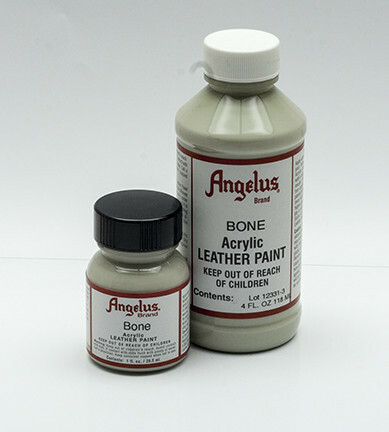 We also stock some colors in 4 oz. bottles. You'll find that information on individual product pages. Directions: Apply with a fine brush or sponge pad. Allow to dry between coats. 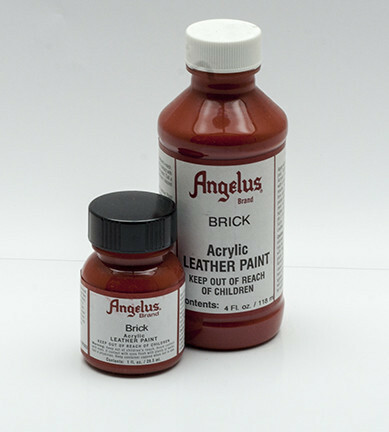 Allow the paint to dry completely before wearing. Clean up brushes and other equipment with soap and warm water. 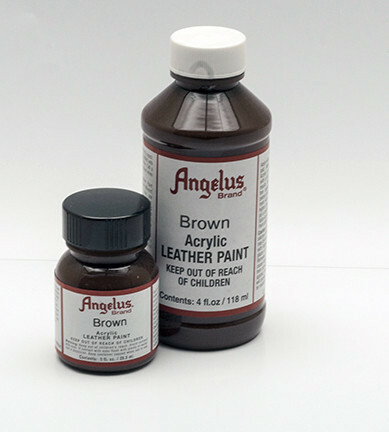 For scuff protection, use an Angelus Acrylic Finisher in Matte or Satin. 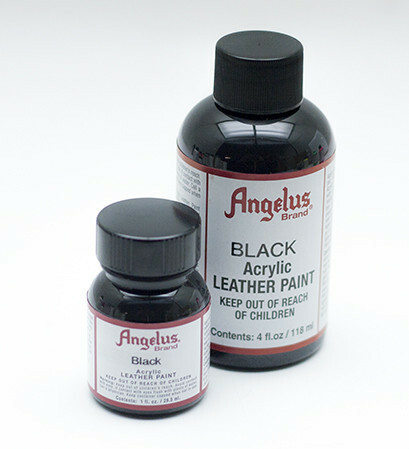 If a duller finish is wanted, we also carry the Angelus Duller. 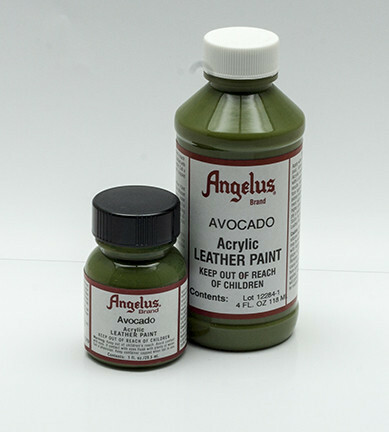 Caution: Some leather articles have a silicon finish applied at the factory. 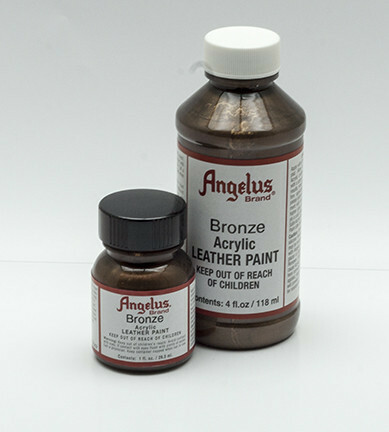 It may be necessary to clean these items with Angelus Leather Preparer and Deglazer before you apply any paint. Acrylic paint may not adhere correctly to products that have been treated with silicone. Look here for color charts on all our Angelus Leather Paints and Dyes. Also, check out The Caning Shop's new step-by-step instructions for painting your sneakers, 1-2-3 Guide to Remix Your Kickz.